Science and technology minister, Derek Hanekom, says while SA should look at higher education in a more innovative way, "we must be doing something right". In order to stimulate innovation and economic growth, South Africa needs to redesign its education model. This is according to professor Roy Marcus, chairman of the Da Vinci Institute. Marcus was speaking during a panel discussion with science and technology minister Derek Hanekom, Discovery Holdings CEO Adrian Gore, Accenture CEO William Mzimba, and broadcasting personality Jeremy Maggs at the Accenture Innovation Index and Awards held in Johannesburg last night. Marcus says innovation, and the ability to translate a great idea into a tangible outcome, are directly related to a quality education. He notes that education in SA is out of reach for many who cannot afford it. "We have to look at our university model. Why is our education so expensive?" Hanekom agreed with Marcus that SA needs to look at higher education in a more innovative way, but says "we should put a more positive spin on it". He noted he recently attended the Eskom Expo for Young Scientists and says he was blown away by the presentations. "In my day at school, we were not able to do what those youngsters are doing now because we had a different model of education. So we must be doing something right." 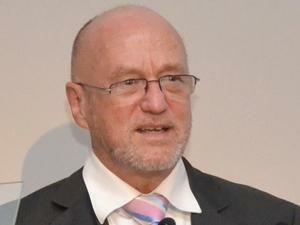 Responding to a question about government's support of innovation and start-ups, Hanekom said an attitude that nothing can be achieved without financial support from government is the wrong approach to innovation. Marcus pointed out that South Africans have a complete reliance on government. "We actually expect the minister to sit here and solve every problem we have. We are crippled, because government will provide." Marcus noted that local innovative products and services often do not work in SA, because of a lack of confidence in local products. "The chances of South Africans making use of all of these innovations [showcased at the event] are miniscule, because we have a fundamental problem in this country in that we don't believe in local products and services. That's why most of the great innovations leave the shores of our country." The Accenture Innovation Index Awards recognise innovation at a concept level that changes the way the world works. To be considered, concepts must already have been commercialised, in the market from one day to three years, and be South African. The Accenture Innovation Index aims to provide an authoritative, objective snapshot of the current state of innovation in South Africa, with the ultimate objective of creating a national benchmark of innovation, to be updated annually. Last night, First National Bank (FNB) walked away as the winner for its customer centricity innovation. According to Accenture, FNB's strategy is customer centricity, and innovation is both a value and strategic pillar deployed in support of this strategy. The bank has delivered more than 8 160 fully implemented innovations since 2004, including its internal employee rewards programme, FNB Innovators, that encourages incremental and systemic innovations from staff. Other finalists, chosen from 190 entries, included Absa's new-generation ATMs, Absa's new online banking platform, eAdvance's Spark Schools network of private schools, GlobalTrack's WebTrack software, and Mellowcabs, a new electric vehicle designed to be used as a first and last mile transport service.